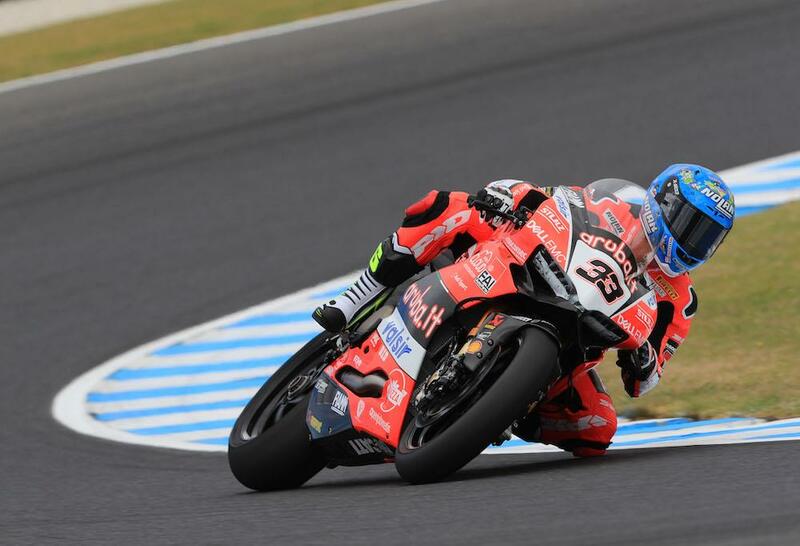 It was a windy start to proceedings as the final preparations got underway for this weekend’s opening round of the World Superbike Championship at Phillip Island. 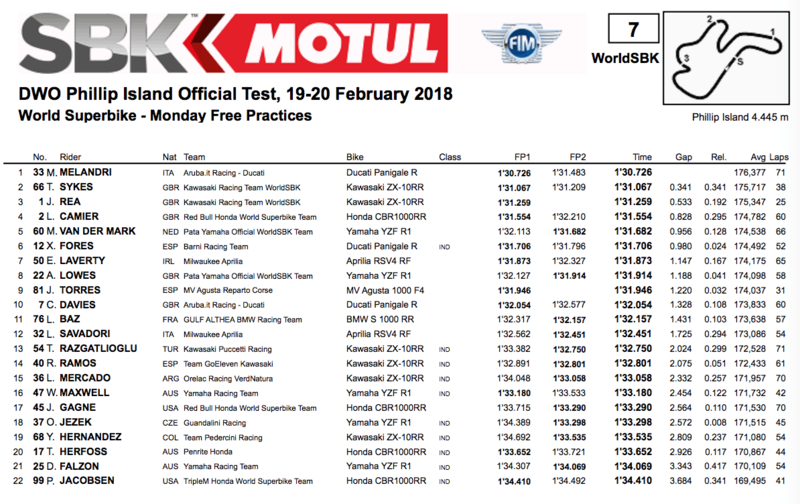 Italian Marco Melandri led the way after the first of two days official testing, lapping the iconic circuit some 0.341 seconds quicker than Tom Sykes who crashed at Turn 11. It was an eventful day for the Kawasaki Racing Team with Jonathan Rea also crashing at T11, fortunately both riders were uninjured and the reigning champion sat less than two tenths of a second behind his team-mate in third. Leon Camier continued to show hope for the Red Bull Honda team as he went on to set the fourth quickest time of the day ahead of the leading PATA Yamaha of Michael van der Mark. Xavi Fores was sixth quickest for Barni Ducati ahead of the first Milwaukee Aprilia of Eugene Laverty and the second PATA Yamaha of Alex Lowes. Jordi Torres was ninth quickest for MV Agusta Reparto Corse while Chaz Davies, who continues to recover from the injuries he sustained in a nasty crash at Jerez back in November. Loris Baz was 11th for Althea BMW, ahead of Aprilia’s Lorenzo Savadori and WorldSBK rookie Razgatlioglu. Roman Ramos and Leandro Mercado rounded out the top 15. Testing continues tomorrow.